While the iPhone 4/4S camera have both managed to displace some of the more popular standalone cameras on sites such as Flickr, many of those with professional photographic nous still don’t view the Apple smartphone’s camera as a serious choice. With good reason, too. 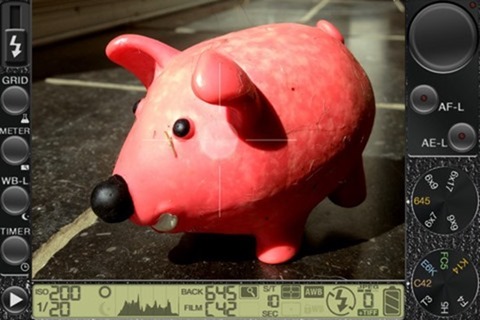 Many of the apps make it easy to create and manipulate an image, and as such, the benchmark for what one would consider "good photography" has become somewhat hazy. 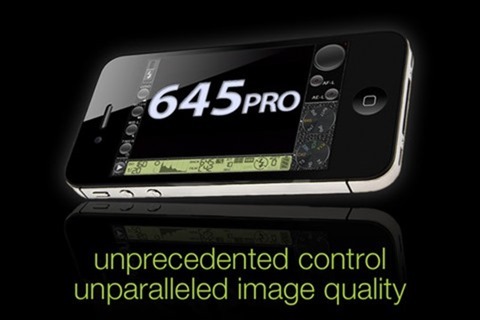 645 PRO, an iPhone 4S-specific camera app, tries – and often succeeds – to offer a more feature-rich, professional image-snapping experience. From the ground up, you can instantly tell that it’s not your generic photo app. There are literally hundreds of camera apps claiming to improve the results from the 8 mega-pixel camera, but none have – as yet – been quite as interesting as 645 PRO. 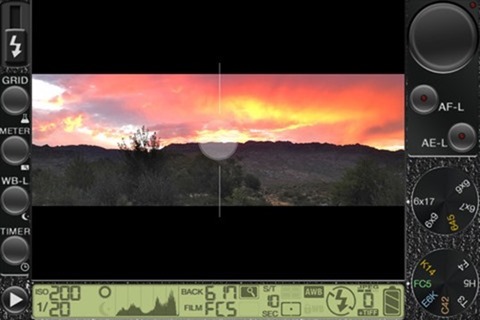 It claims to be the first iPhone camera app to offer the "developed RAW" .tiff files used by the professional photographers, while the JPEGs pumped out by the app are also of a standard unprecedented in any competing app. 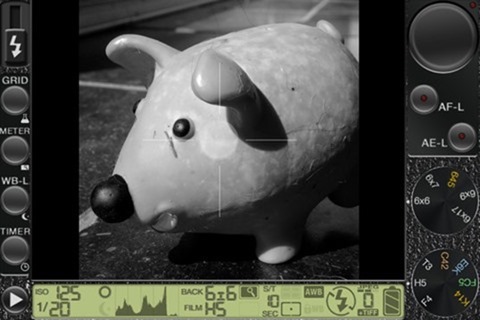 While the iPhone 4S camera has drawn some comparisons to the Nikons and the Canons of the world, 645 PRO actually gives it some respectability, and with options such as the ability to save "lossless" JPEGs, pitching the minuscule lens against the brickier, pricier professional cameras doesn’t appear quite as ridiculous. 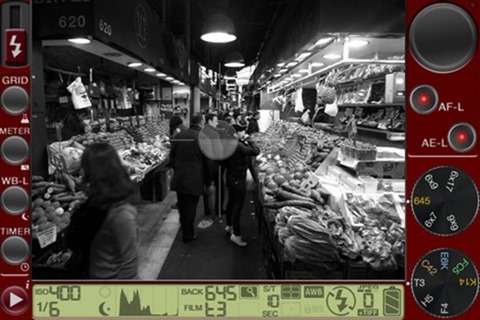 645 PRO’s offers several Film Modes, which draw inspiration from the classic film stocks used by 1960s snappers as well as those of the more contemporary photographers. It’s not completely rebellious of other photo apps, though, and much like the popular Hipstamatic app for iPhone, the camera can be altered to look a certain way, adding further authenticity to the app’s retro-inspired motif. All in all, 645 PRO is a beautifully crafted, bespoke example of what can happen when the mold is broken, and that extra mile is explored in order to offer a new, exciting and feature-rich experience. 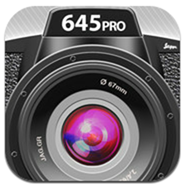 It costs $2.99 over at at Apple’s App Store, and if you’re looking for a camera app which leans toward a professional pallet of tools, then 645 PRO is certainly the best there is. It works with the iPhone 4, but since the 4S is the better camera, you’re naturally going to garner better results with the newer of the two.